The local Good Humor man may have less goodies in his freezer this summer after shortage. 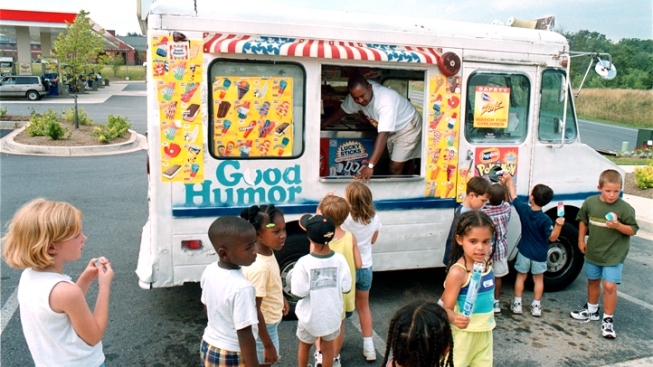 The Good Humor man, or woman, may be a bit shorthanded this summer. According to the company and a MSNBC report, the company is running out of three flavors: Chocolate Éclair, Toasted Almond and Candy-Center Crunch. The flavors won’t be available until later this summer. “Primarily due to the unprecedented warm spring weather, as well as the routine challenges presented when production moves from one plant to others, some iconic Good Humor brands are in shorter supply via mobile vending units,” Caroline Krajewski, a spokeswoman for Unilever, the parent Dutch company that produces the products, said. Good Humor announced last year that they’d be slowing down production at their Hagerstown Md., plant by 2013 and would lay off about 400 employees.